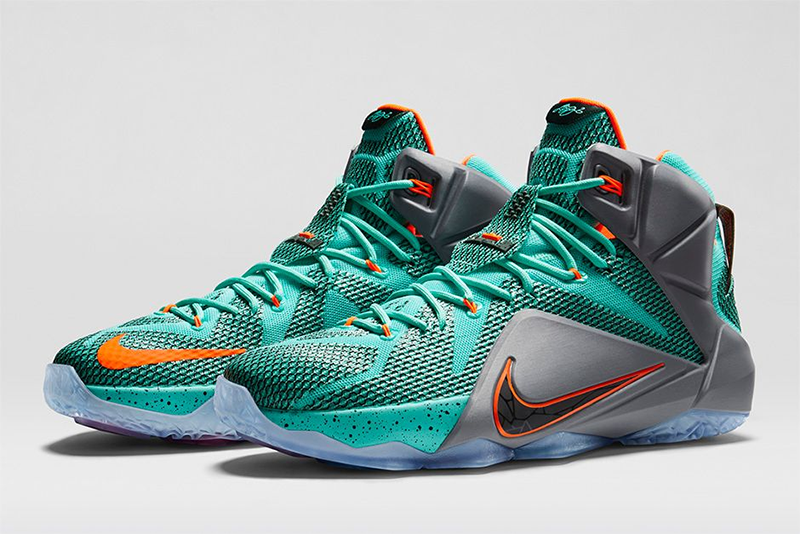 2K Sports added the Nike LeBron 12 NSRL (Turquoise colorway) to the MyPlayer store, with the price of 12,500 VC. These shoes are not available when editing rosters, so you can't equip them there. 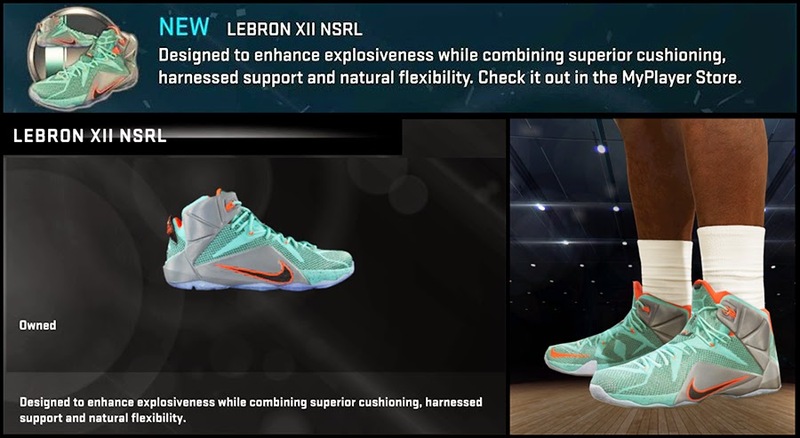 You must go to MyCareer / MyPark then head to the MyPlayer Store, and select the Nike Shoes category to purchase the LeBron 12. The shoes will be automatically downloaded to your console or PC as long as you are connected to the Internet. More shoes will be added in NBA 2K15 as they are revealed over the course of the year.